There are so many things to be impressed about with the Model 3 that its hard to get my head around all of the goodies. But that doesn’t mean there are some disappointments too. That’s about the same room as you get beneath the seat on a regional jet and almost pointless in size unless you need secure purse storage. That bag looks about 8 inches thick at the rear and maybe 3 inches thick at the front and about 18 inches long and at most 3 feet wide at its biggest point. You can’t put groceries here or a stroller (2 things I put in my RWD Model S frunk). Besides the tailor-made handbag above, it is hard to imagine what use this space can provide to the typical user. Tesla could put a roadside emergency kit with tire fix can? Maybe you can fit a squeegee for the windows since Electric cars don’t stop at gas stations? 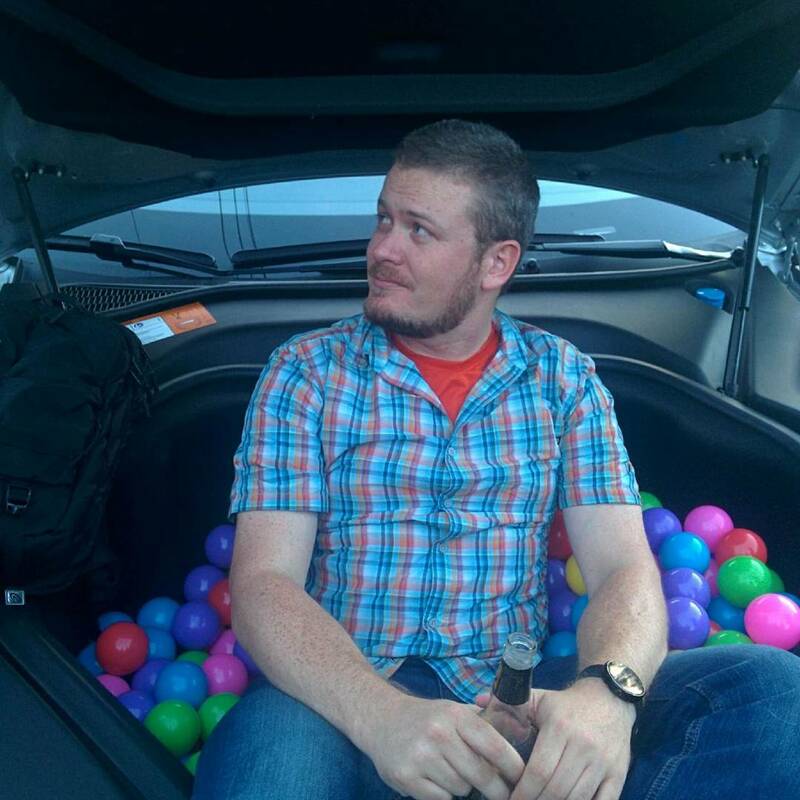 How about a very small ball pit? In any case, it’s a real shame because the Frunk is one of the real differentiators of the Model S. I can put my kids in the jumpseats in the back and suitcases in the front on road trips. The extra room puts Tesla’s current lineup in the land of big minivans in terms of cargo space. Why so small? Since the Model 3 prototypes were AWD that means the front motor is taking up some space and the RWD option will have a deeper well. At this point, I can only speculate that because this is a prototype, they haven’t shrunken down and optimized the electronics that are in the front and will have done so in the 18 months before the Model 3 launches. 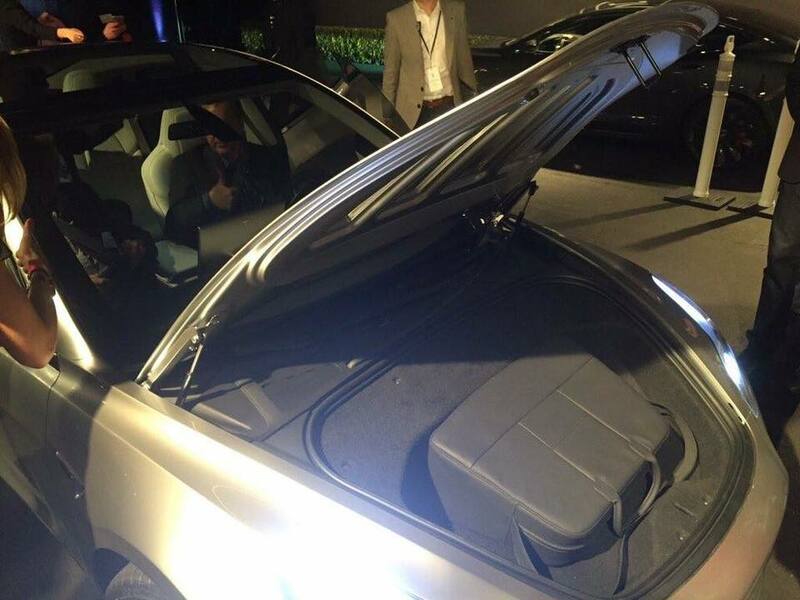 Tesla certainly made the Frunk bigger in the Model X final version vs. the prototypes. Also perhaps Tesla will make the Bioweapons grade air filter an option on the Model 3. That takes up some space as well. A video of the trunk also shows a significant paring down of what Model S and X owners are used to. There isn’t much clearance and lifting that hood with snow or water on it would dump a bunch of wetness into the trunk. As part of his Tweetstorm earlier this week, CEO Elon Musk said that the trunk at least would get upgraded but didn’t elaborate on how. One of the bigger wow-factor parts of the Model 3 is the one-piece of glass top that would have to be divided to make a hatchback. It’s worth noting that during the Model 3 unveil, Musk also said that the Model 3 should end up with the most cargo space in its segment but that seems to include the backseat area with the seats folded down. After being spoiled by the Model S, I probably have to ease back my expectations on cargo space on the Model 3. Something had to give in terms of space for people and cargo and from the initial drives, it doesn’t appear to be people.